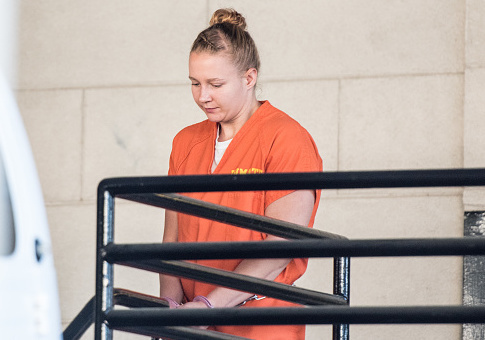 Former National Security Agency contractor Reality Winner was sentenced Thursday to five years and three months in prison for leaking classified documents. The crime carried a maximum of 10 years in prison, but prosecutors recommended the 63 months that U.S. District Court Judge J. Randal Hall eventually chose, NBC reports. Winner, 26, pleaded guilty last year, admitting she copied a classified report about Russian attempts to hack U.S. voting software. The report Winner leaked detailed Russian government work to penetrate a supplier of voting software. The Intercept news site claimed it obtained documents from the NSA about Russian attempts to hack U.S. voting software, but authorities have not confirmed where Winner leaked the documents to. Thursday’s hearing was less than 45 minutes long. Her lawyers argued her prior record was clean and she is suffering from depression and bulimia. Last year, she defended her actions by saying it was stressful having Fox News on TV at work. Winner worked for the national security contractor Pluribus International in Georgia. Winner was formerly a linguist for the Air Force, speaking Middle Eastern languages such as Farsi, Dari and Pashto. She was charged under the Espionage Act and has been held without bail since her arrest. A group of her supporters have donated to help Winner since the government caught her leaking the documents. Comedian Rosie O’Donnell has been a steadfast supporter, putting forward cash to help Winner last year and continuing her public support. This entry was posted in National Security and tagged Reality Winner. Bookmark the permalink.